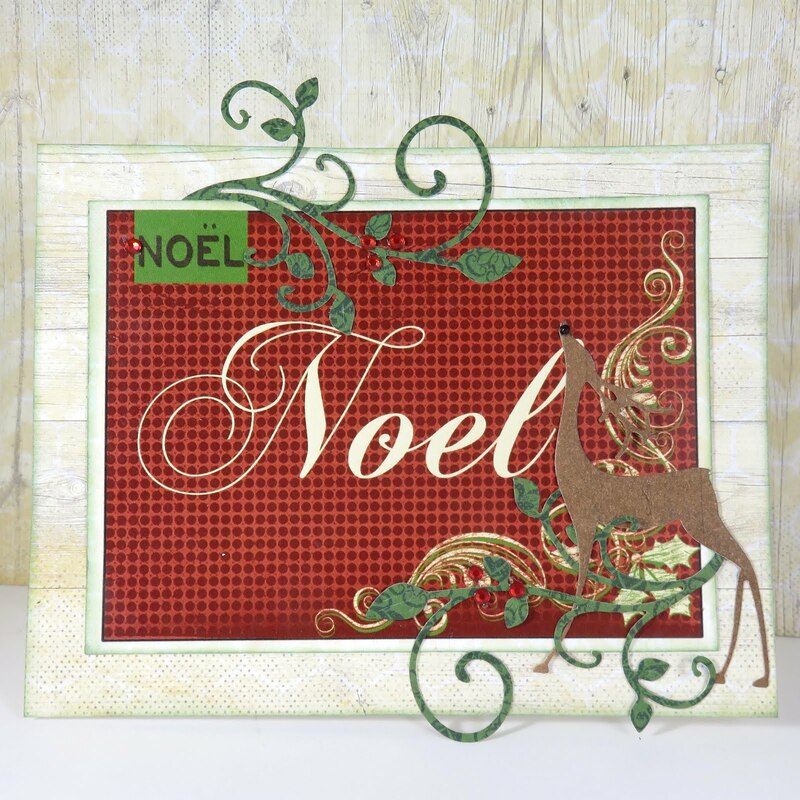 Blog Quick Quotes: Holiday Card Inspiration with June! 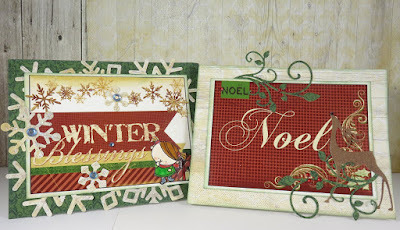 Holiday Card Inspiration with June! Hello Quick Quotes fans, June here today hosting the blog. It is now crunch time for sending out Christmas cards, and I have a couple of quick cards featuring the new Holly Jolly Holiday line. The Holly Jolly Holiday Quotes and Phrases are pretty enough to stand alone, but you can kick it up and put in your own twist by adding any stamps or die cuts you have on hand. 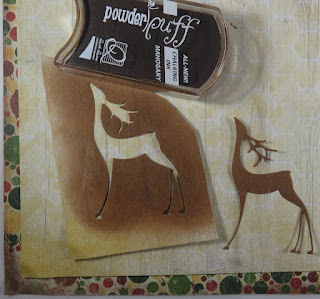 I cut out the "Noel" quote and adhered it to Autumn Brilliance 105, edging both with Seafoam PowderPuff Chalking Ink. The ivy (die cut from Holly Jolly Holiday 101) was tucked around the edges of the quote. 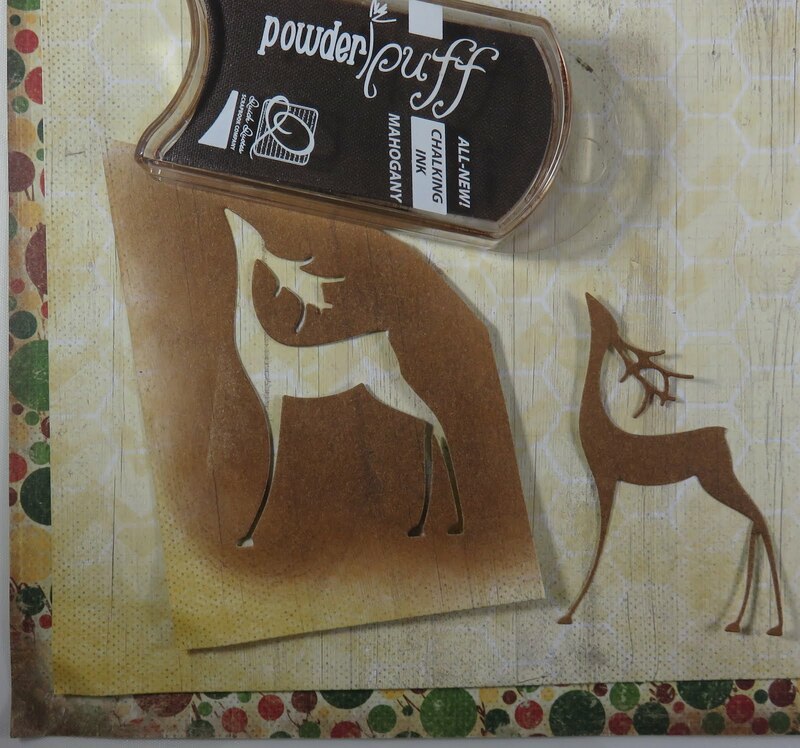 To create the brown deer, Mahogany PowderPuff Chalking Ink was applied to Autumn Brilliance 105 and then die cut. Gems were added to finish off the card. The "Winter Blessings" quote was adhered to Holly Jolly Holiday 101, edging both with Seafoam PowderPuff Chalking Ink. 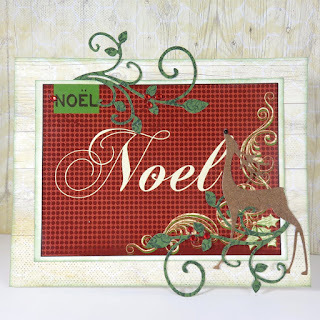 Snowflakes (die cut from Autumn Brilliance 105) were tucked behind the quote and Stickles was added to glitter them up. The little girl and gifts are stamps that were colored and fussy cut. Again, to finish off the card, gems were added.